Consumers - Rivvur, de app die u en uw klanten beloont! WOULD YOU LIKE THEM TO HAVE A NEW CUSTOMER? DO YOU LIKE TO SHARE YOUR EXPERIENCES WITH OTHERS? 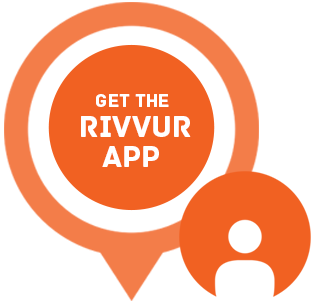 THE RIVVUR APP ON YOUR PHONE MAKES IT FUN, EASY AND … YOU GET REWARDED AS WELL! Or leave your email address and we will send you a mail that allows you to install the app directly to your iPhone. Do you have good experiences with a handyman? Or do you know someone who is in need of a smart accountant and you would like to recommend one? Rivvur is THE new way of recommending companies to other people. With the Rivvur app you can connect friends or acquaintances to companies or businesses you are (very) happy with. And you get rewarded for it as well! Rivvur is a loyalty programme AND a handy tool for word of mouth advertising. In the Rivvur app on your smartphone you can find all the companies you are happy with. The app sends the company’s contact details straight to the person you want to recommend it to. He or she can then get in contact with this company. Or, the company itself can get in contact when they see your recommendation, which is a great boost of course! Thanks to Rivvur you’re all set to do yourself, your friends and that great company a favour. When you recommend a company to someone, you’re helping this company to find a possible new customer. Potential customers have access to a good company and next to that they receive a nice introductory offer. And, last but not least, you receive a nice reward from the company for generating leads for them. And their gratitude of course. It’s a win win!